HOUSTON, Texas – Houston’s Adopt-A-Drain program has unveiled several upgrades for program participants. The popular naming feature is back up and running. Adopters now have the option of viewing other drain nicknames before getting creative and naming their own drain. Earlier this year, the feature was taken down after hackers replaced the names with explicit and unsavory descriptions. The Adopt-A-Drain website accessibility has improved. The site is now available on all internet browsers. The website is also displaying new drains up for adoption. To claim a drain of your own, visit www.HoustonAdoptaDrain.org, enter your email address and follow the link you are sent. Houston Public Works has more than 100,000 inlets in the drainage system. Houston’s Adopt-A-Drain program launched April 2018 and 1,278 drains have been adopted throughout Houston. The program allows the community to take a proactive approach to prevent future flooding, save taxpayer dollars keeps our neighborhood storm drains clean and litter-free. As Adopt-A-Drain partners, program participants are asked to keep their drain clear of leaves and trash by cleaning it at least 4 times a year (especially before it rains). To adopt a drain in your neighborhood, visit www.HoustonAdoptaDrain.org. 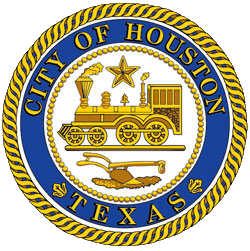 By adopting a drain, partners will receive information and tips from the City of Houston and Keep Houston Beautiful and notification of upcoming Adopt-A-Drain events.